Google Adsense is one of the most popular ad serving site owned by Search giant. Most of the bloggers and webmasters earning decent money through Google Adsense, it depends their site visitors and clicks. Your website or blog might get visitors from in different countries and different continents in worldwide. If you want to see which country visitors give you more money? Google Adsense allows you to sort your site earning report in different types like Channel wise. 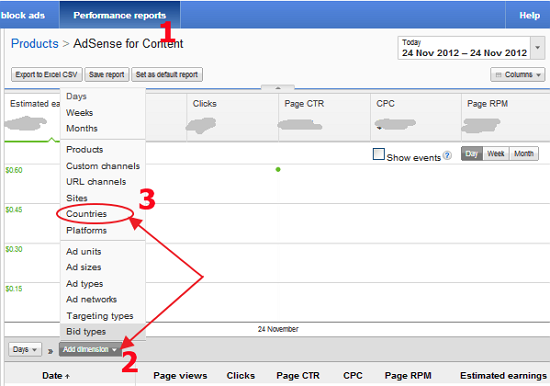 Using Google Adsense you can sort your earning report by Country wise. So you can find "which country visitors give you more money through Google Adsense. Now you will see your earning report by country wise and also find which country visitors give you more money through adsense.